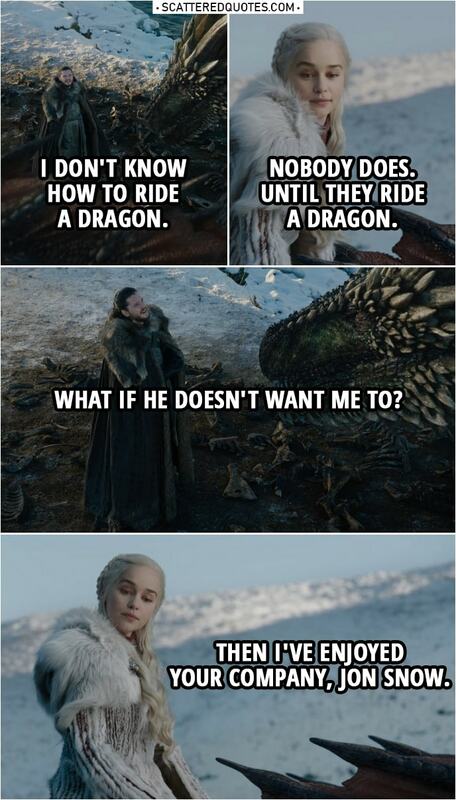 Jon Snow: I don’t know how to ride a dragon. Daenerys Targaryen: Nobody does. Until they ride a dragon. Jon Snow: What if he doesn’t want me to? Daenerys Targaryen: Then I’ve enjoyed your company, Jon Snow. 15.4.2019 I don’t know how to ride a dragon.